Are you passionate about your creative work making an impact? 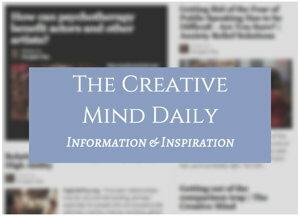 The Creative Mind is part of a series of sites by Douglas Eby - providing information and inspiration for exploring your creativity and personal development. Do you really show up in your creative work?